David Price M75 Javelin 26.93m. In finishing in first place David set a Championship record as well as a club record. Lorna and Janice also competed for the Club the day before in the Senior League meeting at Corby. Lorna in the Discus, Javelin, Hammer and Shot and Janice in the Long, Triple, Javelin and the 4x100m relay. 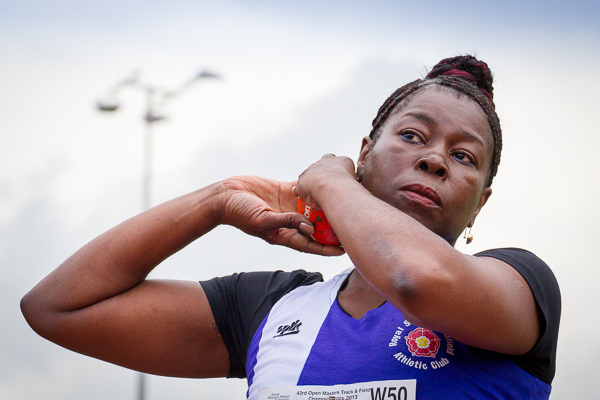 notably Janice set new club records in the Long and Triple at Corby. Her triple was further than the British record but due to no wind gauge it cannot be ratified. Well done to you all – Kevin, David, Richard, Donald, Lorna and Janice. Next Masters/Vets League meeting is Wednesday June 22nd at Tamworth.